For the 2016/17 tax year, you may be eligible to transfer £1,100 of your personal allowance between each other which represents a tax reduction of £220.00. For the 2017/18 tax year, you may be eligible to transfer £1,150 of your personal allowance between each other which represents a tax reduction of £230.00. To qualify one partner must have total income below the personal allowance which for 2016/17 was £11,000 (2017/18 £11,500) and the other must be a basic rate taxpayer. If you are surrendering your allowances to your partner and your gross income for 2016/17 is between £9,900 and £11,000 then the reduction in your allowances would then mean you would become a taxpayer so a claim would not be worthwhile. If either partner is a higher rate tax payer then no claim can be made. The allowance can only be used against Income Tax so a claim would not be applicable if your only liability for the year was Class 2 and/or Class 4 National Insurance Contributions. 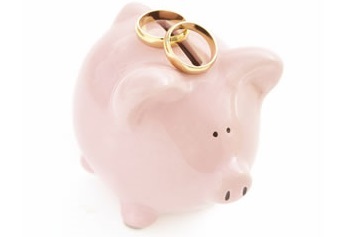 A claim must be made by telephoning HMRC on 0300 200 3300 or online at www.gov.uk/marriageallowance. Your tax liability will not be reduced if an online or telephone claim has not been made. Unfortunately, we cannot make the claim for you as HMRC will not allow agents to make the claim on their clients’ behalf. Your tax return is not for the purposes of making a claim. Instead, upon receipt of your tax return, HMRC will make an amendment to your tax liability and advise you of the revised amounts payable. The person who calls HMRC must be the person who is transferring the allowances (i.e. the person with income below £11,000 in 2016/17 or £11,500 in 2017/18). When first making a claim HMRC will review earlier years, back to 2015/16, and back date the claim for any years where you have not made a claim but were eligible to do so.